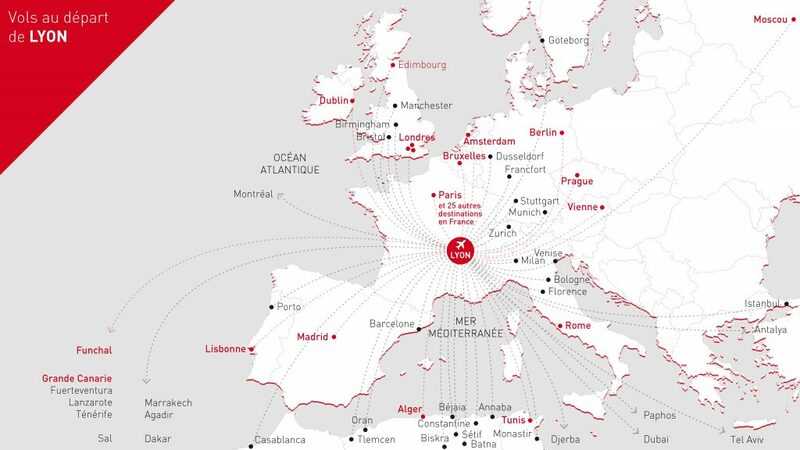 Lyon is not only in an exceptional location, but the area also boasts an international airport, Lyon-Saint Exupéry part of the Aéroports de Lyon group, just 25 minutes away from the city centre. Lyon-Saint Exupéry opened in 1975 as Lyon-Satolas Airport and was built to replace Lyon-Bron airport in handling the rising levels of air traffic. In June 2000, the airport was re-named in honour of Lyon’s celebrated aviator and writer, Antoine de Saint Exupéry. The airport has 2 runways measuring 4,000 and 2,670 metres, 3 passenger terminals and welcomes up to 34,000 passengers a day. 8,703, 354 passengers passed through the airport in 2015, an increase of 2.8%. 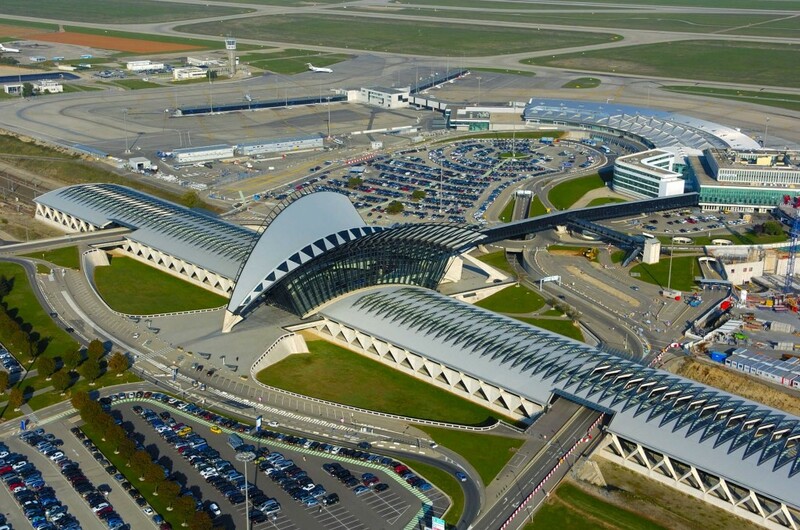 It is France’s fourth airport, after Paris-Charles-de-Gaulle, Paris-Orly and Nice Côte d’Azur. Access to Lyon-Saint-Exupéry airport using roads and motorways is excellent, however since summer 2010, the Rhônexpress shuttle train has also provided a connection to the city centre. The rail shuttle is the first rapid link in France between an airport and city centre and makes it possible to travel from the airport to Lyon Part-Dieu railway station in under 30 minutes. Rhônexpress has committed to reimbursing customers the equivalent of 50% of the cost of a one-way ticket for delays of over 10 minutes and 100% for delays of over 20 minutes long (based on the price of a one-way ticket from the automatic ticket dispenser). The Aeroports de Lyon group operates two airports: Lyon-Bron airport, used for business aviation, and Lyon-Saint Exupéry, used for commercial aviation and freight aviation via its CargoPort. Lyon-Bron is the third largest French business aviation airport, with 6,036 business aviation flights in 2015. It provides a continuous 24/7 service and is located just 15 minutes from Lyon’s city centre. There are 5 companies and 50 businesses based at the airport. Lyon-Saint Exupéry airport’s multimodal hub is situated right at the heart of the goods flow, with 51,629 tonnes of freight and air post. The airport is notably specialised in the transportation of livestock and temperature-controlled product storage. 24 airlines operate here along 10 routes. Road and rail links too!